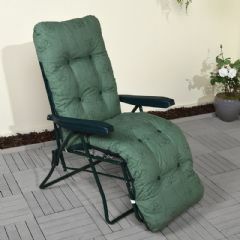 Enjoy your garden or patio in comfort with this deep padded Glendale Stripe Relaxer that features 5 reclining positions. 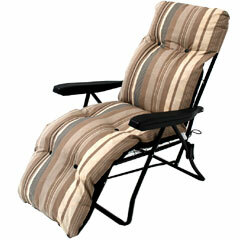 It is a great relaxer chair at a great price that looks good and is super comfortable. 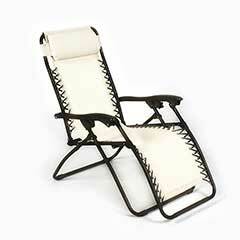 Just imagine lying back in the sun for a snooze or simply sitting and enjoying the view. 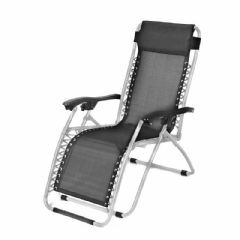 Manufactured from powder coated tubular steel, this quality reclining relaxer is both durable and lightweight. 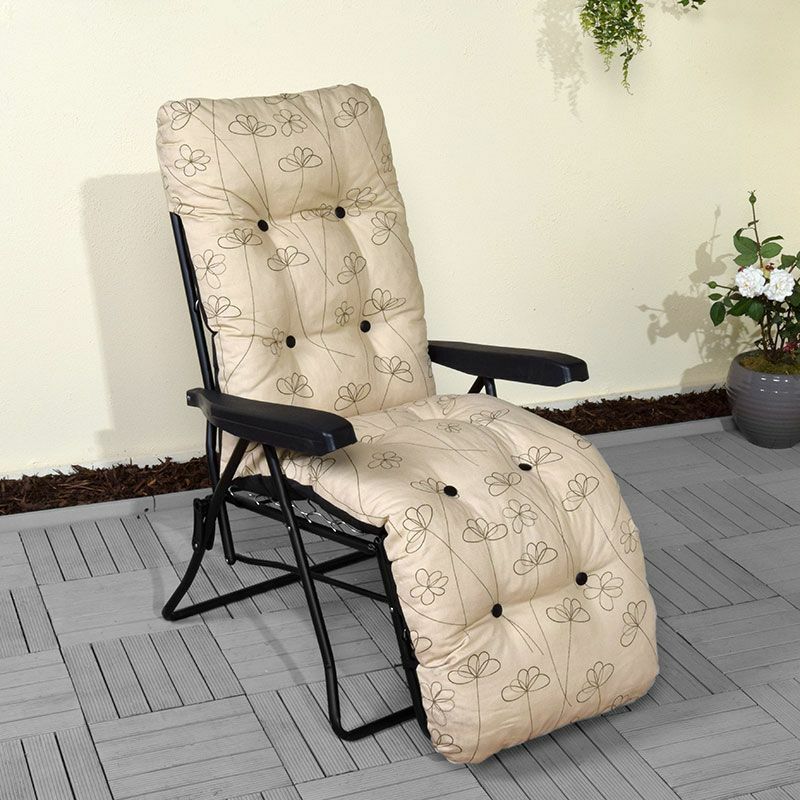 The attractive cushion is made from heavy duty cotton with foam padding which makes it quick to dry should a summer shower strike. 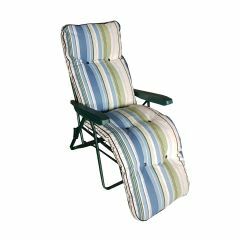 It makes a wonderful addition to your patio, balcony or decking, it also neatly folds down, making it easy to store, or pop in your car boot for days out, or to take on camping trips. 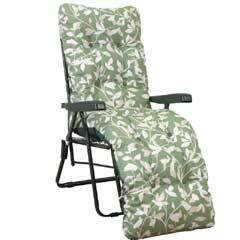 You will certainly get your money’s worth with this product! 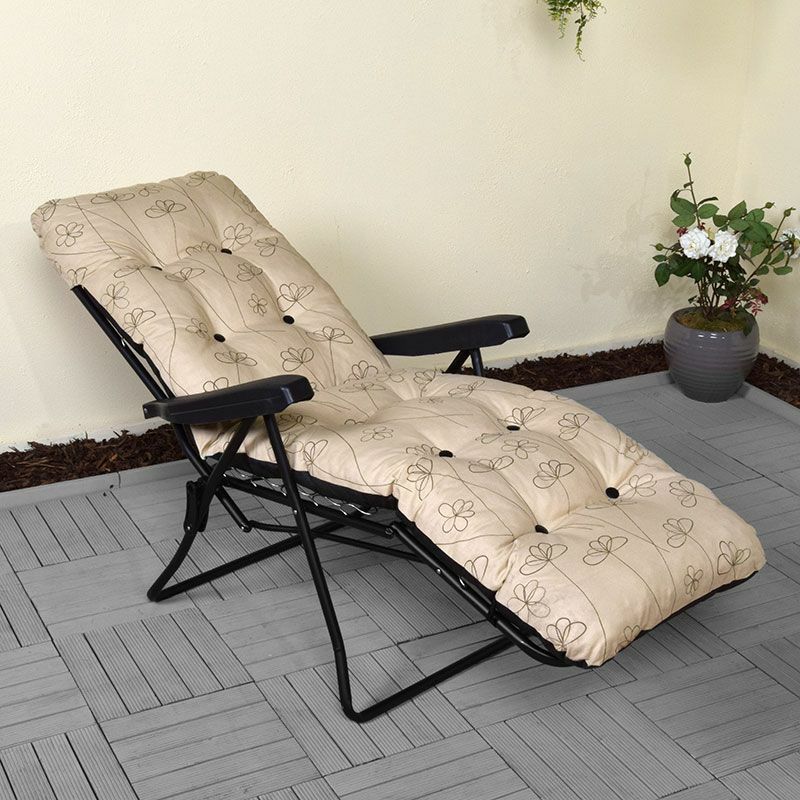 For ideas or inspiration for your garden décor, please click here to view our range of garden ornamentation and decoration.